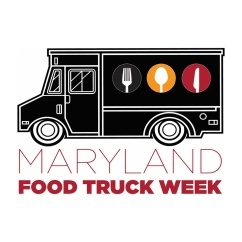 Greetings and Readings in the Hunt Valley Towne Center, in Hunt Valley, Maryland invites you to meet and greet, up-close and personal, former food critic, French food and culture authority, Daniel Young on Friday, February 17 from noon to 2 p.m. He is the author of Made in Marseille, The Rough Guide to New York City Restaurants, and The Paris Cafe Cookbook and has written about French food and culture for many publications, including Gourmet, Bon Appetit, Conde Nast Traveler, the New York Times, and others. Formerly the restaurant critic for the New York Daily News, he now lives in Paris, London, and his hometown, New York. 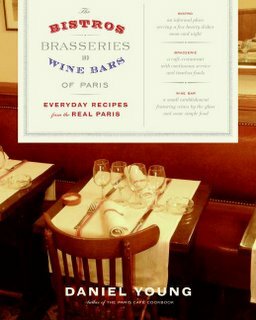 Daniel Young's latest cookbook, The Bistros, Brasseries and Wine Bars of Paris: Everyday Recipes from the Real Paris, picks up where The Paris Cafe Cookbook left off. This new volume expands the scope to include bistros, brasseries, and wine bars - the other institutions that together comprise the Paris of Parisians, the real Paris. You can spend years in Paris and never hear the same answer twice to this cookbook's underlying question: what is the difference between a bistro, a brasserie, and a wine bar? In his third cookbook, acclaimed author and expert on all things French Daniel Young explains the nuances that distinguish one from another among the three categories, as he takes home cooks on a vibrant, spirited tour of Paris's best eateries. Daniel explains that, as true Parisians know; a bistro is a small, informal restaurant serving a few simple, hearty dishes, while a brasserie is a larger, cafe-restaurant providing continuous service and rough-and-ready food. In a wine bar, expect to find a large selection of wines by the glass and light bites to go with them. Follow Daniel Young as he leads a tour of this Paris of Parisians by way of its definitive eating spots. Young explores the distinctions among bistros, brasseries, and wine bars before leading you to 38 of his favorites, from landmark brasseries like Lipp and La Coupole to little-known gems like the bistro Clementine and the wine bar La Petite Syrah. 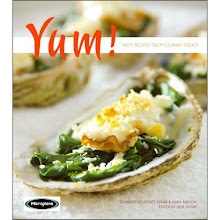 He shares more than 100 of their recipes, all house specialties adapted here for use by North American home cooks. As this array of delicious dishes and the book make clear, bistros, brasseries, and wine bars define what it means to be out and eat out in Paris - to dine simply yet very well. Theirs is the food that nourishes and sustains the Paris of Parisians - the real and everyday Paris - with local flavor, style, sophistication, personality, and attitude. Daniel also introduces home cooks to many of his favorite spots (some are famous, others are his own best-keep secrets) and presents classic recipes from each, including Salmon Terrine with Leeks and Pesto, Cream of Carrot Soup with Cumin, Pan-Grilled Rib Steak with Bearnaise Sauce, and Warm Almond Cake with Caramel Cream. Bistros, brasseries, and wine bars, define what it means to be out and eat out in Paris, to dine simply and very well. Theirs is the food that nourishes and sustains the Paris of Parisians - the real and everyday Paris - with local flavor, style, sophistication, personality, and attitude. If you are unable to meet Daniel personally than take advantage of Greetings and Readings Advanced Order and Autograph service, call 410-771-3022 and pre-order your autographed first edition copy of Bistros, Brasseries and Wine Bars of Paris.